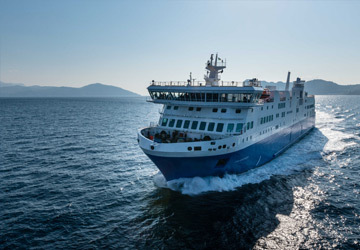 The Bari Dubrovnik ferry route connects Italy with Croatia. Currently there is just the 1 ferry company operating this ferry service, Jadrolinija. The crossing operates up to 4 times each week with sailing durations from around 10 hours. Bari Dubrovnik sailing durations and frequency may vary from season to season so we’d advise doing a live check to get the most up to date information. Prices shown represent the average one way price paid by our customers. The most common booking on the Bari Dubrovnik route is a car and 2 passengers. "Ferry from Bari to Dubrovnik"
All went to plan and everything ran smoothly. I just booked a seat and slept near the bar area. It was a little uncomfortable but totally fine. Lots of good food and drink options on board the service from the staff throughout was excellent. Would recommend this trip. The ferry from Bari to Dubrovnik was great fun. We travelled as a family of 6. Older kids 23,21,18,14. They shared a room for 4 and we a double. Nothing fancy but excellent and efficient service, nice breakfast, and great views. Tickets and passport control are at the entrance, no need to wander around. Very convenient. Overall good experience. Wonderful experience. Staff were very kind, polite, and helpful. Food and drink prices were more than reasonable and a nice surprise to find breakfast was included with our cabin. Highly reccomend a couple of drinks on the upper deck bar with some great sunset views. The Italian city of Bari, located in the province of Bari, lies on the Adriatic Sea coast. The town is perhaps best known for its university and sea port. There are many visitor attractions in the city including the Basilica di San Nicola which was established in the 11th century to receive the remains of Saint Nicolas which are now located beneath the church's altar in the crypt. Also worth a visit is Bari Cathedral which was constructed between 1034 and 1178 and is dedicated to Saint Sabinus of Canosa. Bari's port is one of the most important in the region and provides a hub for sea traffic between Italy and the Middle East and Balkan regions. The port has two harbours. The Old Port is located closest to the old city and is mainly used for small boats and fishing vessels. 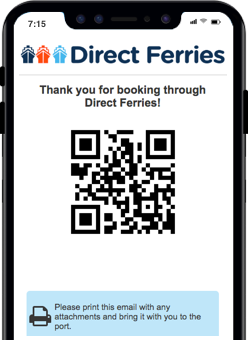 The modern new port offers passengers destinations including Durres, Igoumenitsa, Cephalonia, Corfu, Patras, Kotor and Dubrovnik. Crossings to Corfu take 8 hours and are only available during the summer months. 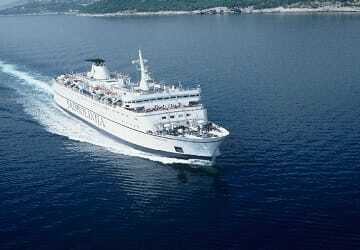 Services to Igoumenitsa take 9 hours and 30 minutes and also operate during the summer. The New Port is modern and offers both short-term and long-term parking options. The Croatian city of Dubrovnik is located in the Dalmatia region of the country and lies on the Adriatic Sea coast. The city, a UNESCO World Heritage Site, is one of the most popular destinations in the Mediterranean and one of the most visited attractions in the city are its city walls. They are around 6 meters thick and stretch for around 2 km around the old city and was built with a series of turrets and towers in order to defend the city from attackers. The city's architecture is spectacular and includes many churches, monasteries, museums and fountains. The city's 18th century cathedral contains relics from the 11th and 18th centuries including the gold-plated arm, leg and skull of Saint Blaise and a relic of the True Cross. The city's ferry terminal is located in the Kantafig area of Gruz Bay, around 3 km from the Old Town. Ferries operating out of the port depart to Bari, Rijeka, Stari Grad. Korcula and Mijet.